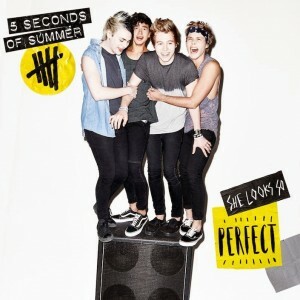 The rise and rise of Sydney four piece 5 Seconds Of Summer continues, with anticipation for the release of the band’s new single ‘She Looks So Perfect’ reaching fever pitch. Though the single won’t be released ’til later this month, it’s already spent time in the upper reaches of the iTunes chart not only here, but across the globe. Anticipation has been so high that the pre-order has already spent time at No.1 in almost 40 countries across the globe. Fans are set to be whipped into a frenzy tonight, with ‘She Looks So Perfect’ premiering on the band’s social media at 7pm AEDT, with an official media service following at 7:30pm. The band enjoys almost one and a half million followers on Facebook and almost two million devotees on Twitter. ‘She Looks So Perfect’ will drop on Friday February 21.